It’s Mothering Sunday (Mothers’ Day) here in the UK . So, in loving memory of my mother Doris (1928-1993) here are a couple of photographs. I’m not sure how old she is in this photograph, probably early teens? This photograph shows my grandfather, Frederick George Neville (1898-1972) standing in a garden, cigarette in hand. I’m not sure where or when the photo was taken but I’m guessing maybe the late 1940s or early 1950s. I’ve left the wall visible rather than cropping the picture as someone may recognise the location! Frederick was born at 18 Hawkesley Road, Walthamstow on 19th March 1898, the son of Edward Neville Sheepwash and Alice Miles who had married in December 1879. He was baptised in Walthamstow on 10th December 1899. In 1901 Frederick, aged 3, was living at 21 Salop Road Walthamstow with his mother, Alice and his siblings: Edward aged 19 who was working as a bricklayer’s labourer, Alfred (15) Ann (12) and baby Martha aged just 1. In 1911 he, together with his mother Alice and two of his siblings (Martha, 12 and Alfred, 26) lived at 41 Tenby Road , Walthamstow. This was the household of Frederick’s brother Edward James Sheepwash and his family. The next record I’ve found for him is his marriage to my grandmother, Esther Saunders, in 1925 at the Church of St Michael and All Angels, Walthamstow. By this time, 28 year old Frederick was a labourer, living at 33 Tenby Road. I’ve been unable to find out anything about the intervening years; born in 1898, he was old enough to have fought in the First World War but I can’t identify him in the military records. By the time of my mother’s birth in 1928 Frederick had progressed to be a storekeeper in a cabinet works. The family name appears to have changed slightly as my mother was registered with the surname “Neville-Sheepwash”. He was still employed in the same trade in 1939, the family had moved to Lawrence Avenue in Walthamstow and had changed their surname to Neville. My memories of my grandfather “Grandad Neville” date from the early 1960s. We used to travel by bus to The Crooked Billet and then walk or get another bus down Billet Road to my grandparents’’ house, number 349. I remember the garden of this house as my grandad would take me outside and show me the “pinks” and tell me to smell these pretty flowers. I have never forgotten the wonderful fragrance and have tried many times to grow the same plants but with little success! We usually visited on a Saturday afternoon and grandad would be watching “Grandstand” on television. He always seemed particularly interested in the horse racing. One day he asked my grandmother to go and place a bet for him; she took me with her and into the betting shop, at which point there was a shout from the staff member “Get that kid out of here!”. I had to go and stand outside. I recall being very embarrassed about being sent outside, but I now realise that betting shops were only legalised in May 1961 – which is almost certainly the year that this incident happened. It may well have been the first time my grandma had ventured into the bookmaker’s and she unwittingly took me inside as well, not realising that children were not allowed in. Grandad worked at the Lebus factory as a storeman and one of the benefits for me was the opportunity to go to the children’s Christmas party. I didn’t ever really want to go as I didn’t know any of the other children, but I think I must have enjoyed it in the end because I went to 2 or 3 of these before my grandad retired. Grandad was a heavy smoker, choosing (I think) Players Weights as his preferred brand. I didn’t like his yellow stained fingers or the smell of the cigarettes. He didn’t often say very much to me, apart from when we looked at the garden together, but he seemed to be a kindly man. He died when I was a teenager. I wish I’d known him better. For a long time, I was unable to identify the parents of my 3x great grandfather, David Joseph BATCHELOR. But recently I realised that the answer had possibly been staring me in the face every time I looked at the 1841 census. Listed at the same address, but in a separate household are an elderly couple, Joseph and Fanny BATCHELOR aged 65. Could I find evidence to prove that these are my 4x great grandparents? The 1851 census suggests that David Batchelor was born around 1812, so I needed to find a possible baptism showing the parents as Joseph and Fanny. Eventually I found this record showing the baptism in 1821 of a David Joseph Batchelor, son of Joseph and Fanny. A note states that the child was “reported born 25 March 1812”. The next entry on the page is for a Mary Ann Batchelor “reported born 1st September 1814”. The baptism of this daughter might be the key to the identity of my 4x great grandparents. The story then becomes more complicated. Listed on the 1871 census as the first child of my great great grandparents, Fanny (nee BATCHELOR) and Ambrose FERRY is a 12 year old boy, Joseph FERRY. I searched long and hard for a birth record for him, and eventually discovered a baptism in 1859 which shows that a Joseph BATCHELOR, the illegitimate son of Fanny Batchelor, was born in the workhouse. Working back in time using the address search facility on Find my Past I found that John and Mary “Dower” were living in the same street in 1851. I think the surname is quite clearly DOWNS on this census. Interestingly, also in the household are Fanny Backland, a blind lodger aged 76, born in Hertfordshire, as well as Joseph Backler (nephew aged 19) and Jane Backler (niece aged 16). Their ages correspond broadly with the dates of birth of Joseph (1833) and Jane BATCHELOR (1834) , older siblings of my 2x great grandmother Fanny. Could Mary Downs be Fanny’s aunt? In 1841 I found John and Mary Downs with Joseph Batchelor (aged 9) in Seabright Street, Bethnal Green. The next crucial piece of evidence is the marriage of John Downs to Mary Ann BATCHELOR in 1832 at St Dunstan’s in Stepney. Linking all of these details together, it seems very likely that Joseph and Fanny Batchelor are indeed my 4x great grandparents although the proof is not 100% because of the number of variant spellings of the surnames. What else can I discover about them to enable me to add them to my family tree? One of my first family history tasks this year has been to update my “Surname Interests” on this blog. Having decided to identify the earliest record for each of the main surnames I’m researching, I quickly realised that I needed to go back to basics with some of the families as I had taken a great deal on trust when I started researching almost 20 years ago. At that time there was very little on line, apart from the Family Search website and a very new and developing FreeBMD. I also went to the Family Records Centre in London in Myddleton Street, Clerkenwell where I got motion sickness trying to operate the microfilm machines. The arrival of the age of online records was a huge relief! I received help from other researchers, many of whom had spent years searching through parish registers and other documents at local archives. They sent me copies of their research, not always fully sourced, and I happily accepted that their findings were correct. Now, with the access to so many records provided by the big genealogy companies, I thought I really ought to check out some of those “looser links” which I’d accepted at the start of my family history journey. So I was happy that my 3x great grandparents were David Joseph Batchelor and Jane Fountain Boyle. I moved on to other research and did nothing more on this line until this month when I decided to click on the “hints” on Ancestry.co.uk. Almost all the hints from other trees had Fanny’s mother listed as Jane FURBER – had I got things completely wrong? When Fanny Batchelor married Ambrose FERRY in 1878 she gave her father’s details: David Bachelor, occupation a fishmonger. The next step to check this out was to look at the 1841 and 1851 census records. In Coventry Street in 1841 I found David BATCHELOR, a fishmonger aged 25, with his wife Jane and children Jane (7) George (4) Fanny (3) and David (1). In a separate household at the same address are Joseph Batchelor, a greengrocer aged 65 and Fanny (65). This family must be “my” Batchelors. In 1851 the family appears at White Horse Court with 8 children, including Fanny (12), John (8), Mary (6) William (5) David (4) and Elizabeth and Richard (twins aged 14 months). All of these children except Mary appear in the GRO index with mother’s maiden name BOYLE. I located the family in 1861 at No.1 Upper York Place, Mile End Old Town. David and Jane still had four children living at home: Mary (17) William (15) David (13) and James (8). In total I’ve found 13 children who could be the offspring of David Joseph Batchelor and Jane. Seeing all the other trees on Ancestry which have my 2x great grandmother, Fanny, and her siblings linked to Jane nee FURBER caused me a minor panic as I rushed to revisit the details in my tree. I’m now satisfied that I have the correct family and that my 3x great grandmother was indeed Jane Fountain Boyle. The next challenges are (a) to confirm that Joseph and Fanny Batchelor (who were sharing a household with the family in 1841 are the parents of David Batchelor and (b) to confirm the names of Jane Fountain Boyle’s parents. If you are connected to this family and can add any information it will be good to hear from you! David Thomas Batchelor, a tallow chandler, and his wife Jane were living in George Yard St Luke, with 7 children. I’ve found three of these children in the GRO indexes – all with mother’s maiden name FURBER: William James (born 1838, surname BATCHELER) David Thomas (born 1841, Surname BATCHELEAR) Sarah Ann (born 1843, surname BATCHELOR). 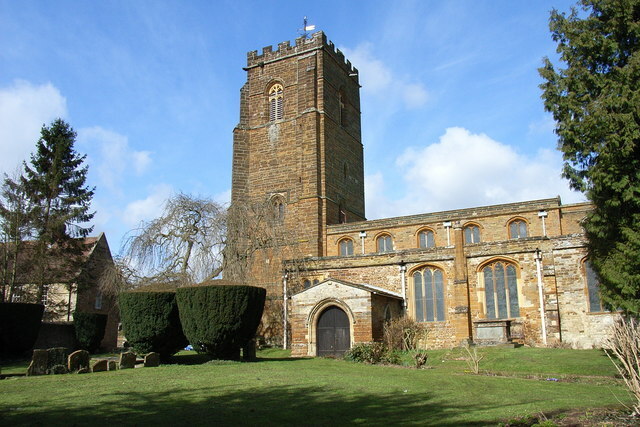 William Aburn, my 4x great grandfather, was born in Towcester, Northamptonshire in 1788 and was baptised at the parish church where he married Ann Downing in 1812. William’s parents were James and Martha (nee Course) who had married in Towcester in 1786. Ann Downing was the daughter of William and Sarah Downing (nee Sutton) who are described on Ann’s birth record as “paupers”. Ann Downing’s baptism record, showing William and Sarah as “paupers”. More about them later…. but for now, back to the Aburns. “The Small Pox broke out in this Parish about that time [May 1796] and continued to Rage with Accumulated Fury untill the beginning of December when the Inhabitants underwent a general Inoculation. Those marked with a cross died of the natural small Pox”. Parish register notes about the 1796 smallpox epidemic in Towcester. The four children referred to in the Militia list were Elizabeth (born 1787), William (born 1788), Thomas (born 1791) and Sarah (born 1795). Being left to care for the 4 young children, one of whom was only a toddler, must have been very hard for James; perhaps he had help from the many Aburn relatives living in Towcester at this time. Eventually, in May 1806, he married again, to a spinster named Sarah Collins, but it appears that she died just a few months later: there is a burial record in November 1806 for Sarah Aburn, wife of James Aburn. Is this Sarah (nee Collins) James’ second wife? James died in 1834 at the age of 85. Going back another generation, still in Towcester, James’ parents were Edward and Elizabeth (nee Bodily). They had married in August 1739 and had 5 children: Joshua (baptised 1739), Lucy (baptised 1742) Frances, James (both baptised 1751) and Josiah (baptised 1753). When Edward died in 1778 the parish register records his burial: Edward Aburn Clark (sic) of this Parish died April 21st, buried the 24th of April 1778. A Man well deserving of his Office. Edward’s parents Mark (a cordwainer) and Elizabeth Aburn, however, remain rather a mystery at the moment. They appear in the Towcester records from 1700 when a son, Mark, was baptised, followed by six more children ( including Edward) but so far I haven’t been able to establish a marriage record or any clues as to where they originated. My 3x great grandmother, Frances Aburn, was born on 6th January 1814 and baptised on 26th June 1814 at St Matthew’s Bethnal Green. Her older sister, Martha, was also baptised that day although she had been born in Towcester, Northamptonshire in 1812 and baptised there on September 4th 1812. Their parents were William and Ann Aburn (nee Downing) and at the time of the 1814 baptisms the family were living in Turk Street, Bethnal Green. William’s occupation is given as “cooper” so it’s possible that he worked at the Truman Brewery in Brick Lane, just a few hundred yards from Turk Street. William and Ann had married in Towcester on 21st July 1812. One of the witnesses to the marriage was an Elizabeth Aburn, most probably William’s sister who was baptised in Towcester in January 1787. William was baptised in the same church on November 2nd 1788. Having moved to London sometime between 1812 and 1814, William and Ann settled in the Bethnal Green area to raise their growing family. They were living in Busby Street at the time of the births of the next three children: Elizabeth (born 1815), James (born 1816) and Mary Ann (born 1819) but by the arrival of their next child, William, in 1822, they had moved to Brick Lane. William died in November 1823 aged just 34 and was buried at Christ Church, Spitalfields. William and Ann’s last child, Eliza, was baptised at the same church in May 1824, the abode being given as Wilkes Street. Eliza may have died the same year, as there is a burial record in the 1824 Christ Church records for an “Elisabeth Auburn” of Wilkes Street, aged 1 year. My 4x great grandmother Ann was now, at the age of 37, left with a young family. No records have been found for her until the 1841 census when she was living in Queen Street Spitalfields with her sons James (a scrivener) and William (a cooper). Ann is listed as a laundress. By 1851 Ann was living at number 5 in the Brewers Almshouses, Mile End Old Town Upper. This census provides the link back to her origins in Towcester – she is described as a widow aged 63, formerly a laundress, born in Towcester, Northamptonshire. Ann died in July 1859 and was buried in the City of London and Tower Hamlets Cemetery. The next instalment of the Aburn story will go back to Towcester to discover the Aburns in the 18th Century. 17th Battalion Kings’ Royal Rifle Regiment. He was wounded and taken prisoner in 1917. He died in 1920 and is buried in Chingford Mount Cemetery. Thanks to my cousin Lynn for the use of this photograph. My half great uncle Leonard Eric Mason, (1908- 1944) Flying Officer in the Royal Canadian Air Force. He was killed when Lancaster ND879 was shot down on 23rd May 1944. He is buried in Reichswald Forest War Cemetery, Germany. Thanks to John Mason for these two photographs. Now in the UK, Leonard was posted to East Kirkby Airfield in Lincolnshire as part of 57 Squadron Bomber Command. The aircraft was reported missing on the morning of 23rd May, and the next of kin of the crew members were notified immediately by telegram. The following day a letter was sent to Leonard’s brother, Arthur Hayter Mason, confirming that the aircraft was missing and the crew were presumed dead although “there was of course every possibility that they were able to abandon the aircraft and land safely in enemy territory”. In October 1946 an investigation into the crash reported that the plane had crashed at Schleptrup, north of Osnabruck in Germany. The investigating officer found wreckage of a British aircraft in the forest about half a mile from the road. An eye witness, Herr Hatke , stated that he saw the aircraft over his house at about 2000 feet , on fire with one wing burnt off. It dropped some bombs and crashed into the forest. The local Chief of Police also witnessed the crash and stated that the Lancaster came in from the west and was attacked by a night fighter. Both men went to the scene of the crash but the aircraft was burning fiercely and they were unable to get near because of the exploding ammunition. The next day six bodies were removed from the wreckage and a seventh was found a few hundred metres away. The bodies were buried at Achmer Airfield Cemetery by the Germans and in March 1946 they were exhumed and removed to Achmer Temporary British Cemetery. At this time one of the bodies was identified as that of Sergeant John Wilson and it was therefore presumed that the other victims were the rest of the crew. In May 1948 Leonard’s brothers received confirmation that his remains had now been moved to Reichswald Permanent British Cemetery. The Canadian war service records on Ancestry.co.uk give far more detail than I have provided here. It is heart-rending to read the communications between the family and the authorities, and to read, for example, the list of Leonard’s personal effects which were to be returned to his next of kin. Out of respect to the family I have not included these here but the records are readily available on Ancestry if you wish to read them. Leonard Eric Mason was 35 when he died. He was the oldest member of the crew. He is commemorated in the naming of Mason Rapids in the Caribou River, Manitoba as part of the Canada Geographic Renaming Project. A while ago I wrote a post about Leonard Eric Mason, one of the half brothers of my great Grandfather, Herbert. I had found (on Ancestry.co.uk) the details of Leonard’s departure for Canada in 1923. He had been a resident at the Chase Farm Schools in Enfield and was sent to Canada for “betterment”. Since then I have found out more about Leonard Eric and his time in the RCAF during World War 2. Leonard’s father, my great great grandfather John Thomas Mason had died in September 1911. On September 11th 1912 Leonard and his brothers , Alfred (b.1903) and Lawrence, (b.1907) were placed in the Greenwich Workhouse by their mother Dorothy. Two days after being admitted to the workhouse, Lawrence and Leonard were “discharged to Calvert Road”. This refers to a group of cottage homes adjacent to the workhouse, which could accommodate up to 50 children. Alfred is listed as discharged but no location is given, perhaps he went home to his mother. The Mason boys seem to have been in and out of the workhouse for short periods: Alfred and Lawrence were admitted again on 7th November 1912 and young Arthur Hayter Mason who was almost 2 years old was admitted the following day. According to Leonard’s Canadian War Service file, he moved to the Chase Farm Schools in 1914 and stayed there until he left for Canada. The photograph below is of Leonard and Arthur Mason during their time at the Chase Farm Schools in Enfield. At the moment I haven’t located any records relating to their residence at Chase Farm; it doesn’t appear to be online yet and so I need to visit the archives to see what I can find. Chase Farm Schools had their origin in the old parish workhouse at Chase Side, Enfield. Eventually, in 1884-6 a new set of buildings was erected on the Chase Farm site and these buildings continued as a school until the start of the Second world War when it was used to provide care for wartime casualties, and then after the war it became a general hospital. For more information on Greenwich Workhouse and Chase Farm Schools see Peter Higginbothams’s website:www.workhouses.org.uk. There is plenty of fascinating information on this site including photographs, maps and plans of the workhouses. Thanks to John Mason for the photograph of Leonard and Arthur.